​Home automation makes you able to control electronic appliances (turning them on or off ) in your home from a remote control or any portable device. There are several ways to achieve Home Automation. Here, This project is a very simplistic application of Home automation for learning use only. 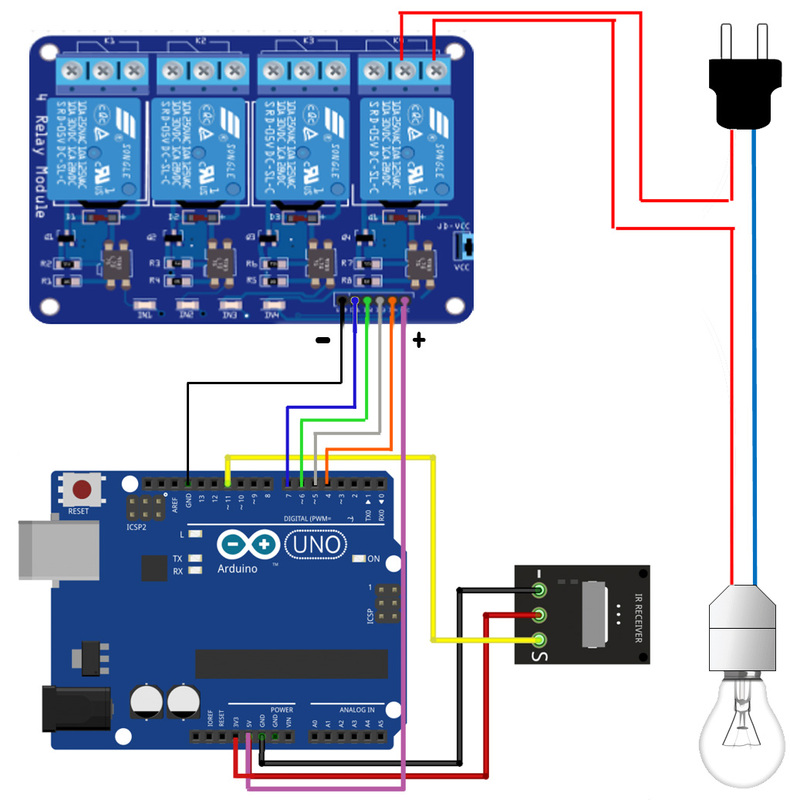 Arduino Uno and relay control to turning light off or on by remote control. Are you thinking about ways to automate things besides lights? I imagine some folks might be interested in finding ways to automate some of their sensors and data collection tools..